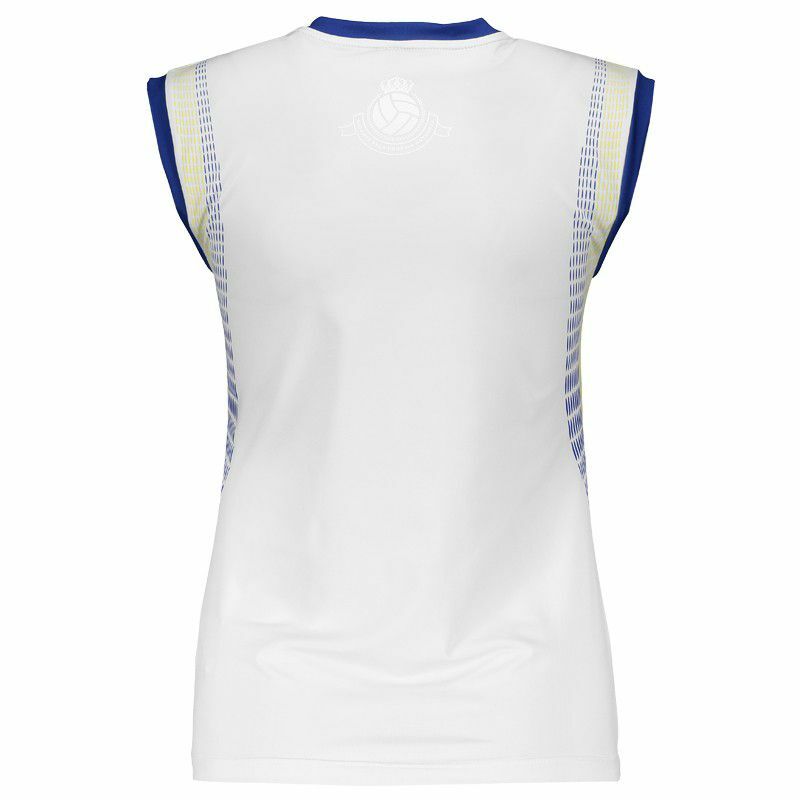 The Olympikus Brazil Volley CBV 2015 Women Sleeveless Jersey features a modern anatomical design made up of the colors of Brazil and made with spandex for better fit and flexibility in your movements. It has the flag of Brazil stamped on the left chest. More info. 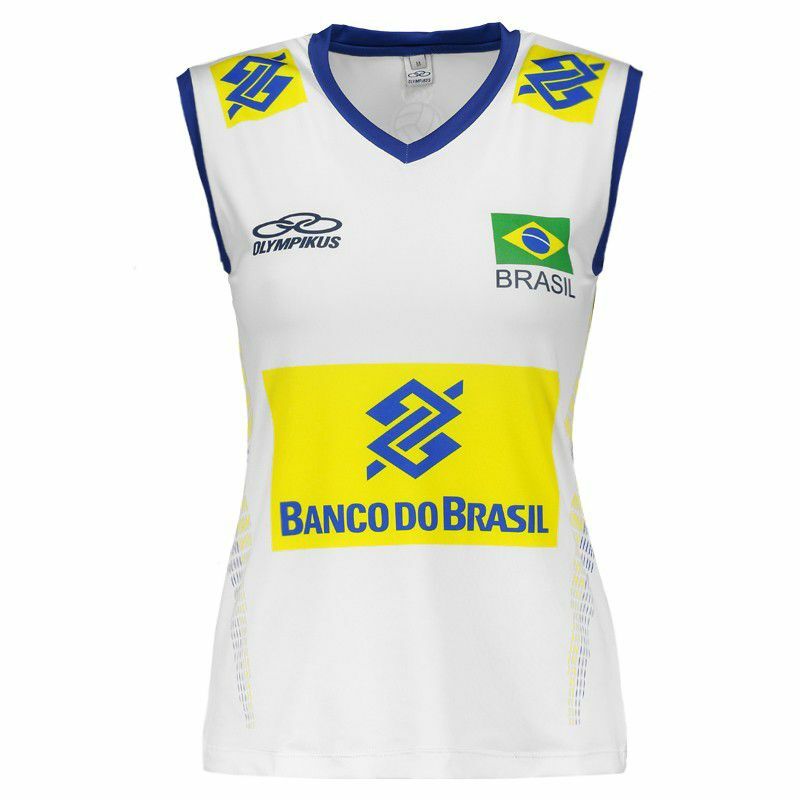 The Olympikus Brazil Volley CBV 2015 Women Sleeveless Jersey features a modern anatomical design made up of the colors of Brazil and made with spandex for better fit and flexibility in your movements. 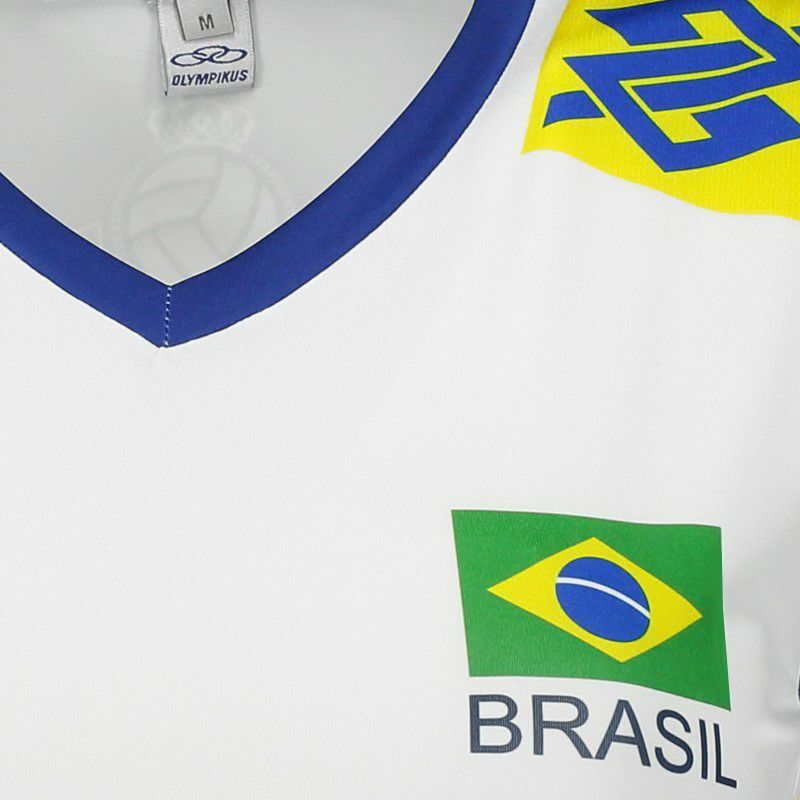 It has the flag of Brazil stamped on the left chest, then Olympikus logo on the right chest and logo of the sponsor in the central area and on the shoulders. 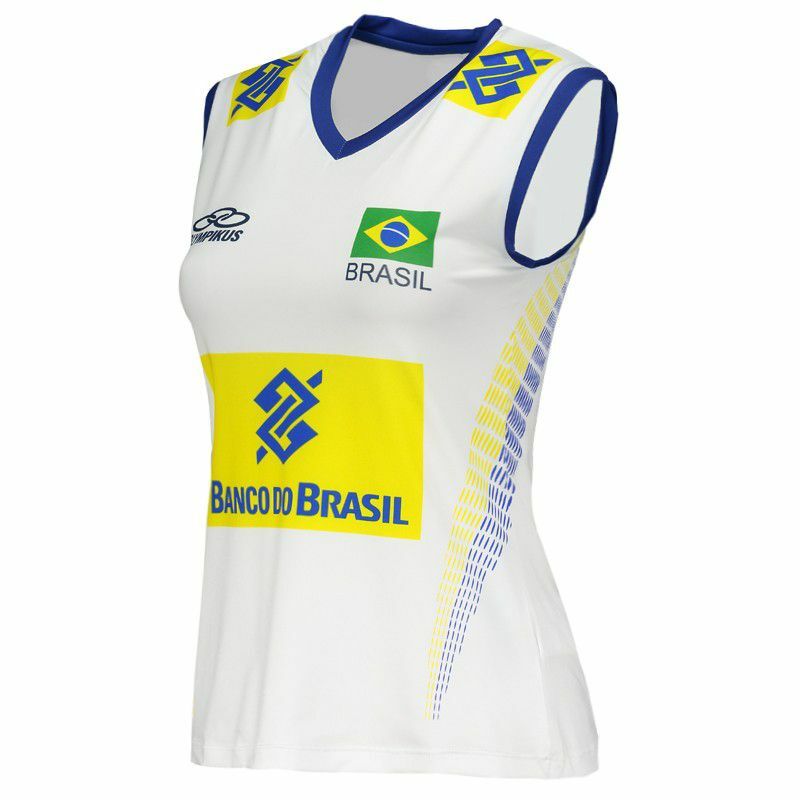 Blue and yellow dashed lines on the back and sides complement the 2015 shirt of the Brazilian Volleyball Confederation. The Brazilian volleyball team is the national team of Brazilian professional adult volleyball, organized and managed by the Brazilian Volleyball Confederation (CBV). Currently holds the first overall ranking of the FIVB. The Brazilian volleyball team is considered one of the strongest teams on the planet.